This worksheet should be used when you are dispatched on a dual feed cable with low pressure. The worksheet outlines a procedure for locating the cause of the low cable pressure. It also serves as a record keeping device for future review, questions or similar problems at the same location. 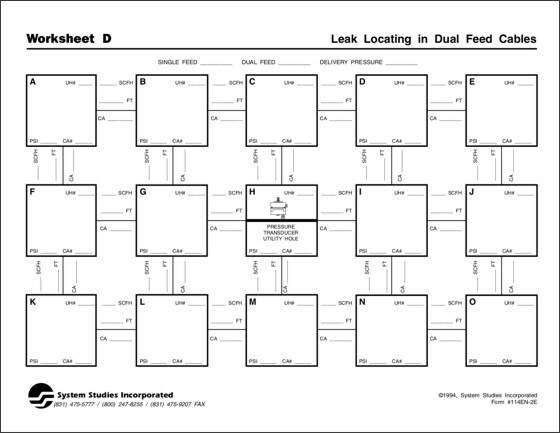 Leak locating with Worksheet D begins at the midpoint pressure transducer (designated as Utility Hole H on the worksheet).